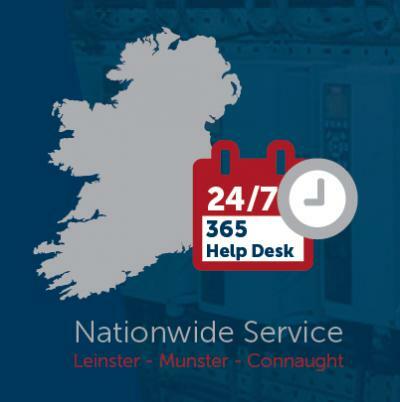 The LMC Help Desk is the first point of contact for client staff requesting the assistance of a Service Engineer, Contractor or technical advice. 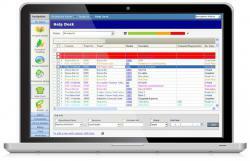 The Help Desk includes a live interface that logs and tracks the status and progress of all Help Desk calls 24/7/365. LMC facilities have Engineers on call throughout the country and will have one with you within your agreed SLA wherever you are. Once a call has been logged with our Help Desk Facility and our Engineer is dispatched our team will communicate with the client representative in advance of arriving to site and thus potentially expedite a swifter resolution to a given problem. The Help desk forwards the call to the relevant LMC Engineer / Specialist Contractor relaying information received and agrees an arrival time. The procedure for call outs is the same whether it is during or outside of normal working hours. 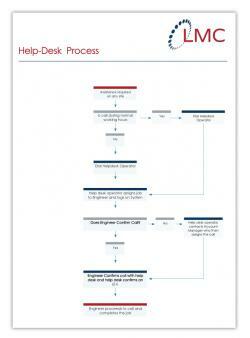 The Help Desk uses a Red/Amber/Green colour coding system to identify the priority of jobs. These priority levels will be agreed with the client during the initial project implementation period. All calls are tracked and are visible on the live dash board from initial callout until final completion and signoff by the client. This is traced as one of our primary KPIs.